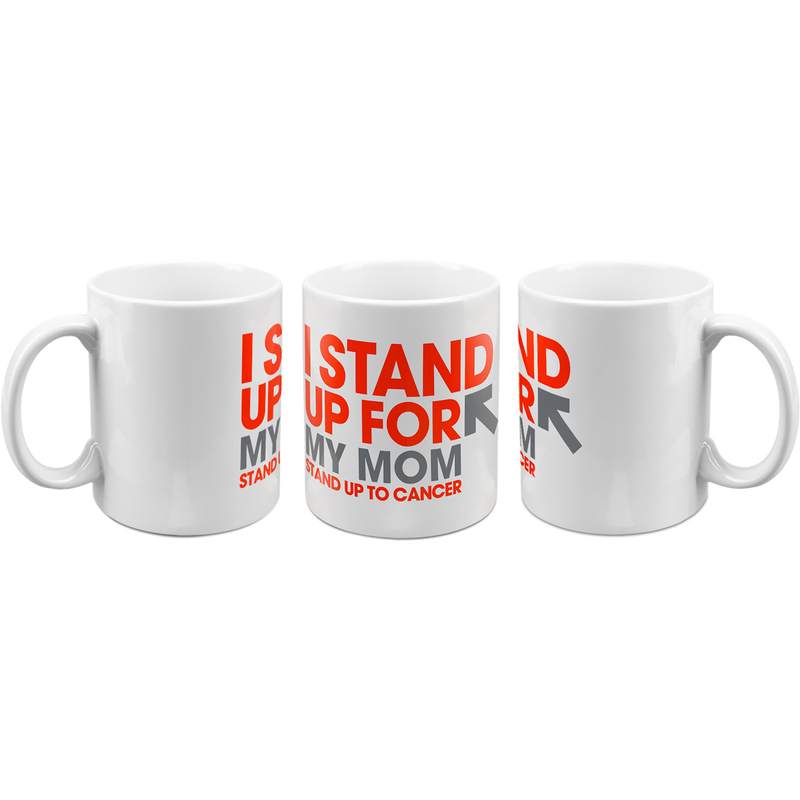 Focus your efforts and start your day right with this 11 oz white ceramic coffee mug. 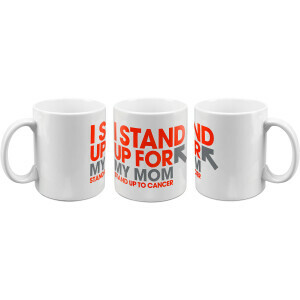 Featuring on the front of the mug is "I Stand Up For My Mom" with SU2C logo on the front. A small way to make a big difference to the ones you love.